Let your clients see the results of your hard work and understand what they are paying for by giving them access to call recordings, call stats and much more. AddSource provides a complete solution which allows agencies to offer PPC programs using unique validation system for billable calls. Call leads are great but traffic can also come from web form requests. 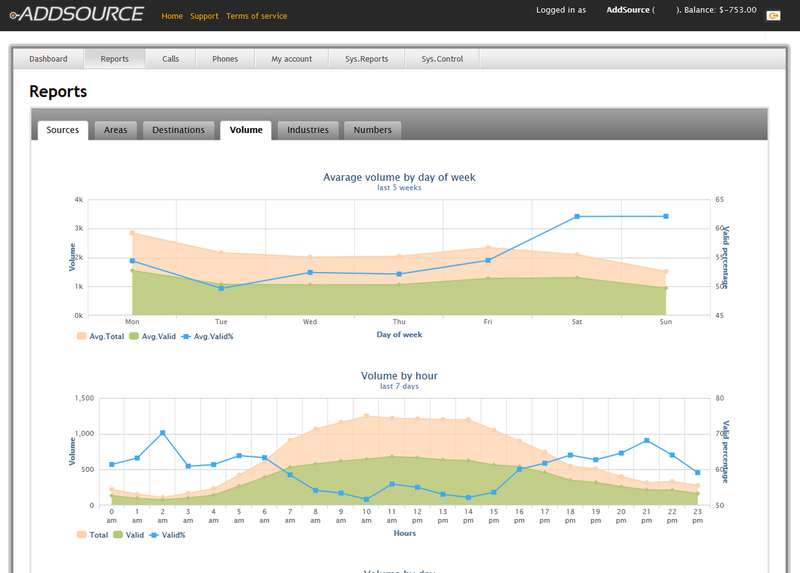 With AddSource' mail tracking feature, it is easy to stay on top of every lead that goes though. 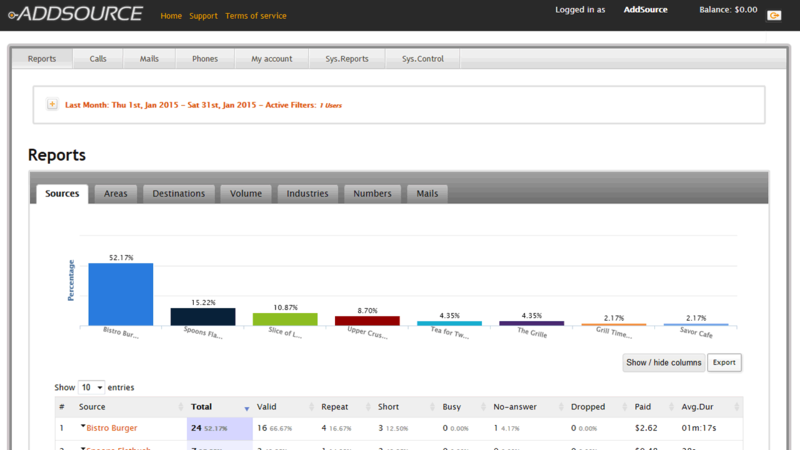 Manage multiple clients under one roof and get the most important insights about your client's behavior. Gain statistics that will shed some light on what happens at your client’s call center. Today’s competitive and multi-channel market requires us to create added value to our clients and moreover, prove effectiveness and efficiently. It’s often that we hear a client states: “I don’t know what it does for me, but pause that for now” – the reason is that they really don’t know! By adding call tracking, agencies can easily show their clients the amount of calls the campaign generates, which is easier to understand than impressions and CTR. This can help their clients to better understand marketing results. Plus, providing clients with call recordings, allows them to understand what they are paying for. Each client has a unique destination number. Direct calls to that destination using an AddSource number and give your client access by sending a personal invitation to their account. Offline campaigns are the hardest to track and most of them resolved to calls. 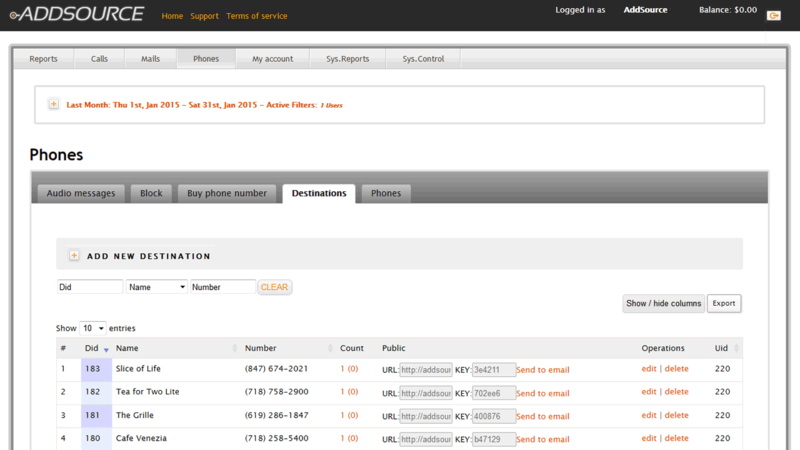 Deploying call tracking on offline campaigns can enrich them with web analytic level and a complete performance report.